Since its inception over three decades ago in New York, the primary focus of Susan Sheehan Gallery has been to create highly curated presentations of postwar American masterworks of printmaking. The gallery puts great emphasis on rigorous scholarship, connoisseurship, and the relevancy of each work. Susan Sheehan is a leading expert in prints produced during the so-called “American print renaissance.” This seminal era that spans the decades of the 1960s through the 1980s, saw artists such as Vija Celmins, Jasper Johns, Ellsworth Kelly, Joan Mitchell, Edward Ruscha, Cy Twombly, and Andy Warhol incorporating the medium as a central element of their artistic practices. The gallery aims to educate and work with collectors over long periods of time to build cohesive and thoughtful collections. We have placed work in many significant public institutions both in the United States and abroad, working jointly with curators and often providing both scholarly information and sourcing particularly noteworthy master prints. 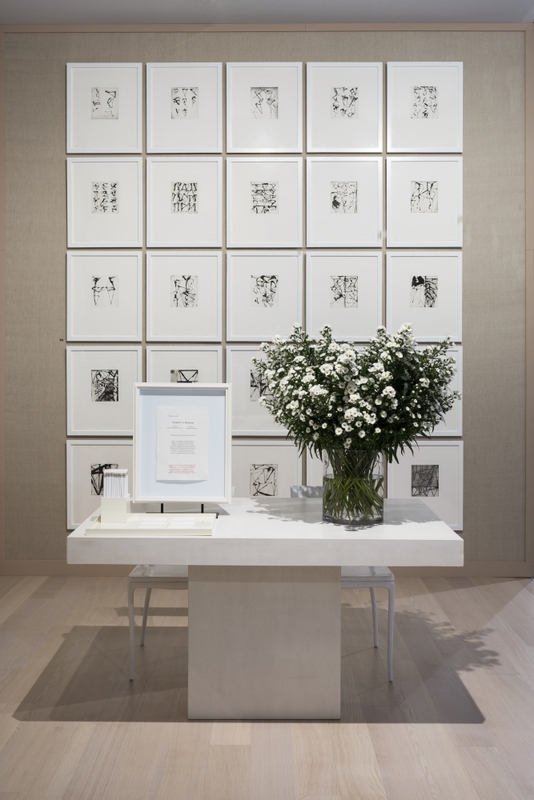 Originally located on 57th Street and later moving to Chelsea, the gallery has maintained a presence in New York since 1985. Currently we are located in a mid-nineteenth century townhouse in the Gramercy Park neighborhood of New York. Over the course of its history, the gallery has mounted nearly one hundred solo and group exhibitions, published numerous catalogues, and created catalogues raisonnés of prints for artists including John McLaughlin and Robert Indiana. We have worked with artists during their lifetimes, such as Ellsworth Kelly and Joan Mitchell, and represent the prints from the Kelly Estate. The gallery has been a member of the Art Dealers Association of America (ADAA) for 25 years and Susan has served on the board. She is also a founding member of the International Fine Print Dealers Association (IFPDA) and is currently a board member of the organization.